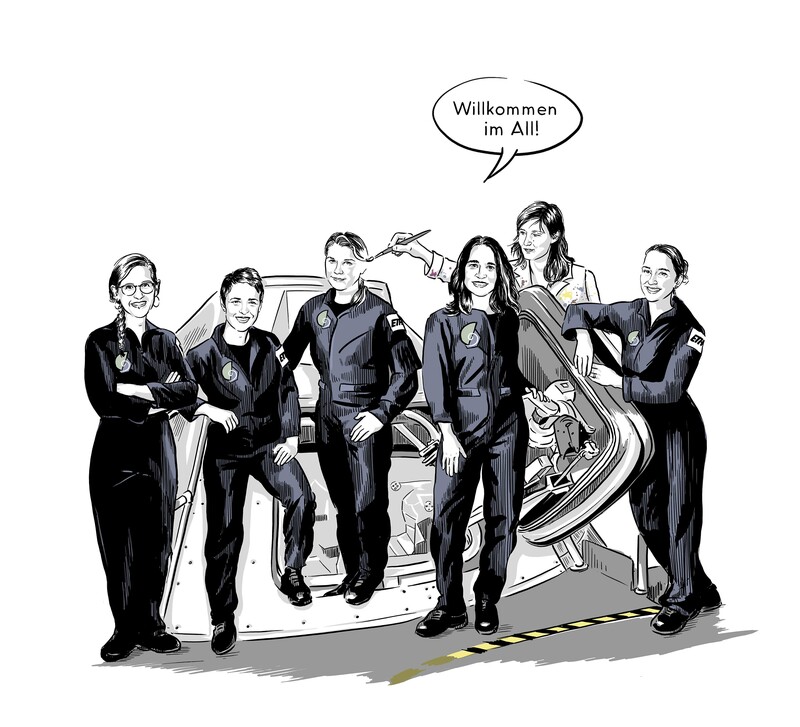 Ulrike Kastrup, head of focusTerra, talks about the exhibition “Expedition Sonnensystem” at the ETH museum in Zurich and why she chose comics as a style element to tell the stories. PlanetS: Mrs. Kastrup, you have decided to choose the style element comic strip for the exhibition. What were the reasons for this? Ulrike Kastrup: Because of its basic character, science can be very abstract and incomprehensible. Comics offer a creative combination of powerful images and good stories. They make it possible to present research in a more lively and sometimes humorous way, thus promoting accessibility to a topic and increasing the involvement of museum visitors or readers of our comic books – which, incidentally, are available in German and English. By the way, science comics are already used in scientific journals like Nature. Scientists are the heroes of comics. How does this change the communication of information? It’s getting more personal! The scientists at ETH and the University of Zurich communicate directly with the visitors, they speak to them and take them into their research world – be it in their laboratories, on field work, in space or in the office. They discover together how research works. What is the most important message you want to convey with the exhibition? The temporary exhibition shows what is possible when you have visions and want to reach for the stars: Visions can become true! Much of what was science fiction a few years ago is now a reality. With the exhibition, we would like to reach all, but especially pupils of all levels of education and encourage them to think about new things, get to the bottom of things and realize ideas – even if they appear far away. To this end, we offer children and young people with exciting research stories, experiments, exhibits, animations and workshops an inspiring basis and incentives for school and leisure, study and work. Every exhibition designer has a favourite place in the exhibition. Which one is yours and why? All areas are growing dear, because you have been dealing with them intensively for so many years. And we develop them because we find them exciting. I really like the drawings of our illustrator Astrid Nippoldt. She met the researchers really brilliantly and translated the stories beautifully. But I also like to play with our numerous experiments and the Augmented Reality App, which was developed by the ETH Game Technology Center. With the app you can go on a scavenger hunt in the exhibition and then take a photo with a Martian that only exists in the virtual world. It’s a bit spacey. Who is the exhibition for? Our exhibitions are for everyone, from young to old, for amateurs and professionals. Everyone can find something and the depth of the discussion is determined by everyone. However, the playful nature of the comics is also particularly suitable for appealing to children and young people and reducing fears of contact with research.